We would like to thank our media and trade partners. Their insight and support has contributed towards making the British Travel Award the largest and most influential resource for UK consumer opinion on leisure travel and tourism performance. As nine-time winner of the British Travel Award for Best Airport Parking Company, APH provides a wide range of parking for all air passengers wherever they’re flying from. We own and run car parks at Gatwick, Manchester and Birmingham, and offer solutions for all major UK airports from Aberdeen to Exeter. From park and ride to the ultimate luxury of chauffeur-driven meet and greet services and hotel packages, there really is no need to worry when heading to the airport for a flight or trip with the family – we’ve got a parking space that’s perfect for all types of traveller. The Daily Mirror is delighted to sponsor the British Travel Awards. The Daily Mirror is Britain's intelligent tabloid and has been providing the best in news, entertainment and sport since 1903. The Daily Record is delighted to sponsor the British Travel Awards. Every day the Daily Record brings you the best in Scottish news, sport, entertainment and opinion. Deloitte is delighted to again be a sponsor and official scrutineers of the British Travel Awards. Each year, the BTA categories and voting processes evolve to ensure relevance. All votes for the BTAs are collected before the raw data and results analysis is forwarded to Deloitte for verification. Deloitte perform agreed upon procedures on the online voting platform and the data it produces. These agreed upon procedures challenge unusual voting patterns and the scoring of the awards. The final results for all open voted categories will be sent to Deloitte and will be verified in October 2019. Deloitte is an industry leader in the travel and aviation sector with a dedicated team offering a range of integrated services from financial, risk advisory, taxation, accounting and consultancy advice to help clients evaluate complex issues, develop fresh approaches to problems and implement practical solutions. Deloitte is led by a purpose: to make an impact that matters. We bring world-class capabilities and high-quality services to our clients. With our unrivalled knowledge of the industry and the business challenges facing companies, we are able to bring together experts to help clients solve their most complex problems. We work with most of the world’s leading companies in the sector with a focus on providing outstanding service, maximising value for our clients and enabling them to make informed decisions. We look forward to continuing to provide outstanding services to our existing clients and building new relationships through the British Travel Awards. The Liverpool Echo is delighted to sponsor the British Travel Awards. The Liverpool Echo has been a vital part of life in Liverpool since it was launched in 1879 and is Merseyside’s best-read newspaper. The Manchester Evening News is delighted to sponsor the British Travel Awards. The Manchester Evening News has served Greater Manchester since 1868 and MEN Media is one of the north west's leading media providers reaching 7 out of 10 people in Greater Manchester every week. The Chronicle is delighted to sponsor the British Travel Awards. The Chronicle is the North East’s most popular daily evening newspaper and has served Newcastle and the surrounding area since 1885. Multi British Travel Award-winning Newmarket Holidays are part of the Newmarket Group, one of the UK’s largest independently owned tour operators, looking after the holiday arrangements of hundreds of thousands of customers each year, to a wide range of destinations at home and across the globe. Established in 1983, Newmarket have built a reputation over the past three decades for high standards of operation, a commitment to customer care and tremendous value for money. The company offers escorted travel arrangements, including air-inclusive resort-based stays and touring holidays, river and ocean cruising, a wide range of coach-inclusive breaks and tours, and travel to a host of special events. Newmarket Holidays holds membership of ABTA, holds an ATOL issued by the Civil Aviation Authority and offers full financial protection to its customers. Winner of Best Flight Booking Website for four consecutive years, Opodo is thrilled to sponsor the prestigious British Travel Awards again this year. Using cutting edge tools to search millions of flight combinations, Opodo helps customers reach their destination and home again, uniquely combining best price and the greatest convenience in the shortest possible time. Opodo is part of the eDreams ODIGEO group, Europe’s largest travel company in the flight sector. The company’s mission is to make travel easier, more accessible and better value for the more than 17 million customers it serves. Shearings Holidays are the UK’s leading escorted tours operator, with over 115 years’ experience of planning and providing holidays. Diverse itineraries are expertly planned from start to finish and carefully curated with customers in mind. Although best known for coach holidays, Shearings also offers a superb selection of amazing holidays by air, rail and river cruise. The company also operates a great range of worldwide holidays featuring destinations in all seven continents. You will find an assortment of inspiring itineraries to choose from including event breaks, sport themed getaways, Battlefields and premium escorted Grand Tours. Their new Roadshow entertainment system now gives customers access to a range of films, TV shows, e-books, magazines and games to keep everyone entertained on their travels. Holiday excursions, return travel and accommodation are included in the majority of Shearings holidays. The Sunday Mail is delighted to sponsor the British Travel Awards. Every week the Sunday Mail bring you the best in Scottish news, sport, entertainment and opinion. The Sunday Mirror is delighted to sponsor the British Travel Awards. The Sunday Mirror – providing all the latest news, sport and celebrity gossip. Get all the big headlines, pictures, analysis, opinion and video on the stories that matter to you. The Sunday People is delighted to sponsor the British Travel Awards. Founded in 1881, the Sunday People is one of Britain's oldest Sunday newspapers. We are feisty, funny and truly independent. 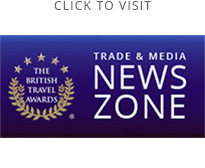 TravelMole are pleased to support the British Travel Awards. Building on their year on year success we believe they will once again prove to be one of the best award events in the UK travel industry calendar. This year we will once again be covering the event and were delighted with the response we had from the 2018 features. With travel industry interaction promoted via the web we are sure that our market leading position as an Online News community will add appropriate strength and weight to the prestige of the awards. Viking Cruises celebrates 21 years of award-winning exploration. With ocean cruises across Scandinavia and the Baltic, the Mediterranean, Caribbean, North America and the world. Its state-of-the-art fleet of river cruise ships is the biggest and the best in the world, enabling guests to explore Europe, Russia and Asia in style and comfort. Consistently voted the best in the business, Viking’s cruises offer great value and great quality. From the stylish accommodation and attentive service to the expertly designed itineraries and tours, more people choose to sail with Viking than any other river cruise line. The Western Mail is delighted to sponsor the British Travel Awards. The Western Mail is the largest regional newspaper of Wales and has been serving the people of Wales with news, sport and analysis since 1969.